Chicago winter and beauty aren’t usually synonymous. When your constantly bundled up in 12 layers and your razor is gathering dust, it doesn’t seem like there’s a need to primp too much. But what about your face!? People are still seeing your ruddy cheeks as you walk down the icy streets. So what better way to perk yourself up from never ending winter than a beauty treatment for your frozen facade? If there is one thing that can immediately add drama to your face, it’s luscious lashes. We snooped out Chicago Lashes recently at their 1950s themed customer appreciation party to get the story on lash extensions. 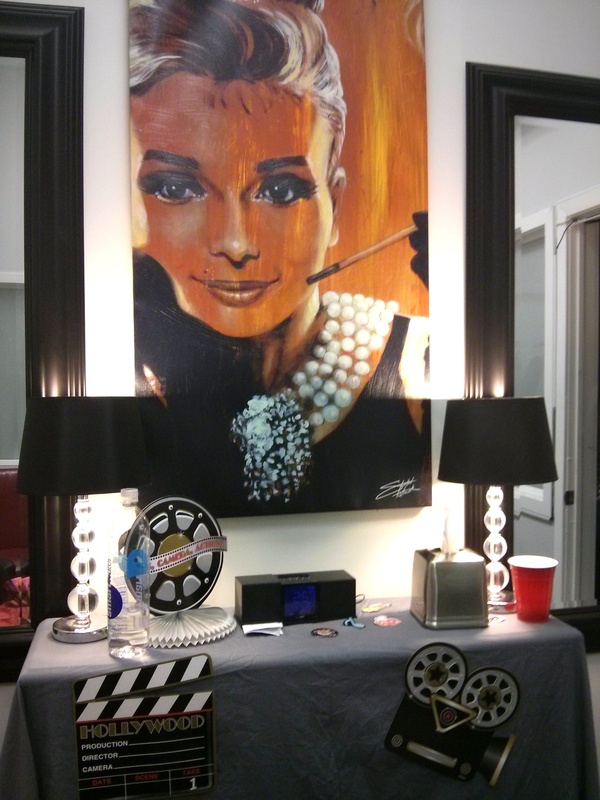 This cute boutique lash studio is decorated with pin up style Rita Hayworth photos and has several private beauty rooms. 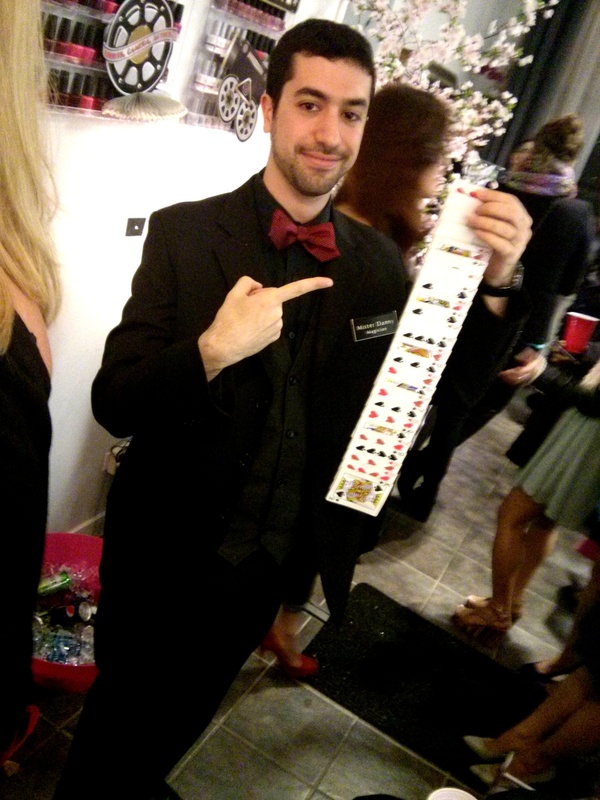 If there is one sure thing, it’s that Chicago Lashes knows how to party. Guests were treated to snacks including some traditional Filipino egg rolls and desserts. A roaming Elvis impersonator loved Monica tender and gave her a yellow silky scarf which refused to take it back. We were mesmerized by Mister Danny, the magician, with his multiplying foam bunnies that appeared and disappeared in your hand. (You know how bunnies are in winter…wink). Chicago Lashes founder, Jennifer sported a feathery pair with red accents that we were coveting. She explained that she opened Chicago Lashes in 2009 with the idea that there are so many salons that do it all, so why not specialize in providing glamorous lashes at prices more affordable to the average woman. We’ve never gotten eyelash extensions done professionally so we definitely needed some tips. Lash extensions are supposed to last 6-8 weeks. Once you get them done, you should attempt to keep them dry (no Ryan Gosling movie fests, ladies) and you can use an eyelash brush to separate them and keep them purty. As we were some of the first ladies to arrive, we both got a coupon for a free set of flare lashes. 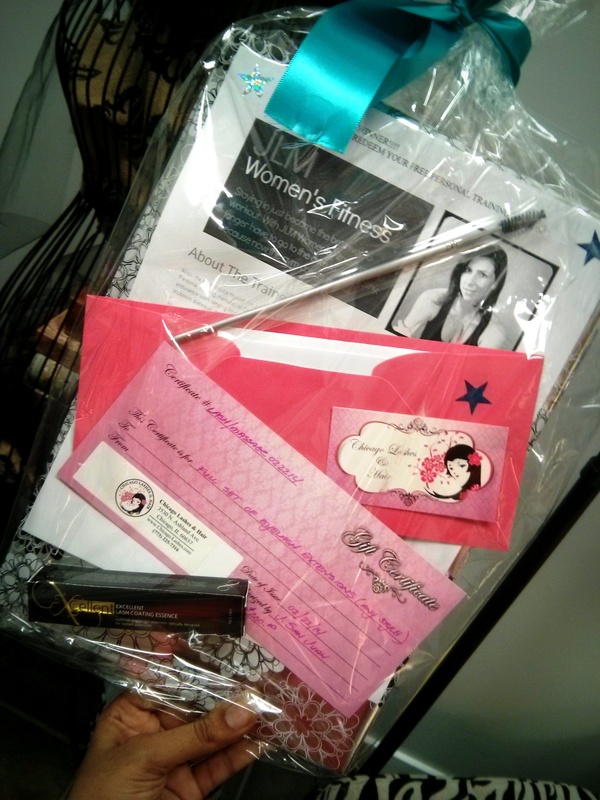 Always lucky Monica also won personal training session with JLM Women’s Fitness and a full set of eyelash extensions. Lash reviews and plenty of lashful selfies are coming your way as soon as it warms up enough for us to want to go back outside to redeem our winnings!! Do any of you have a go to lash studio in Chicago? Lash extensions..love them, hate them? Tell us what you think!